This James Duigan recipe makes an appearance about once a month in our house. 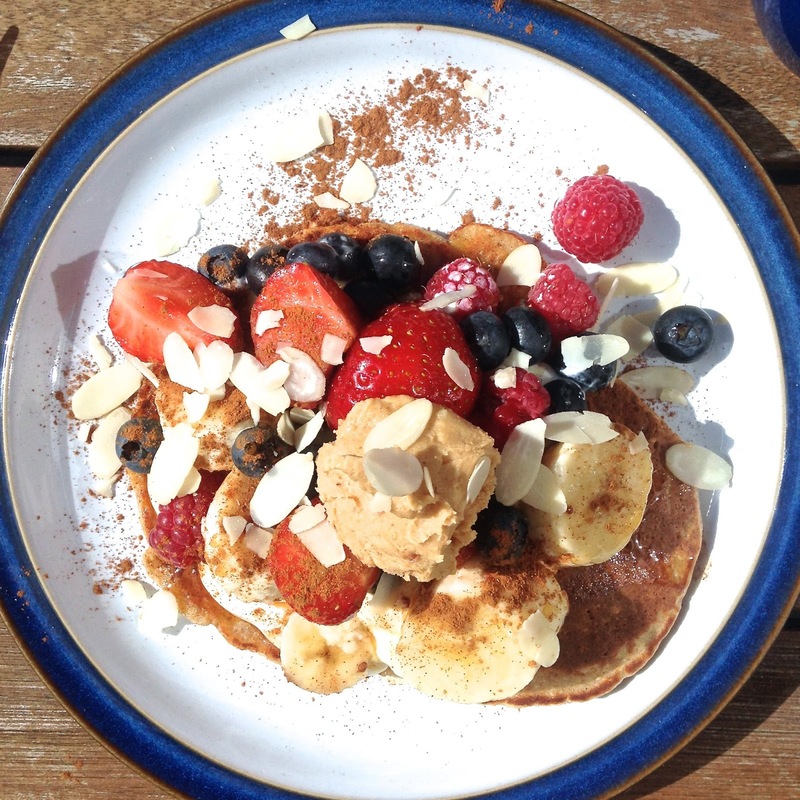 The perfect Sunday morning guilt free indulgence or post workout breakfast. Usually double whammy post workout Saturday/Sunday morning which is uber satisfying. If you've never seen this recipe before, you're in for treat. 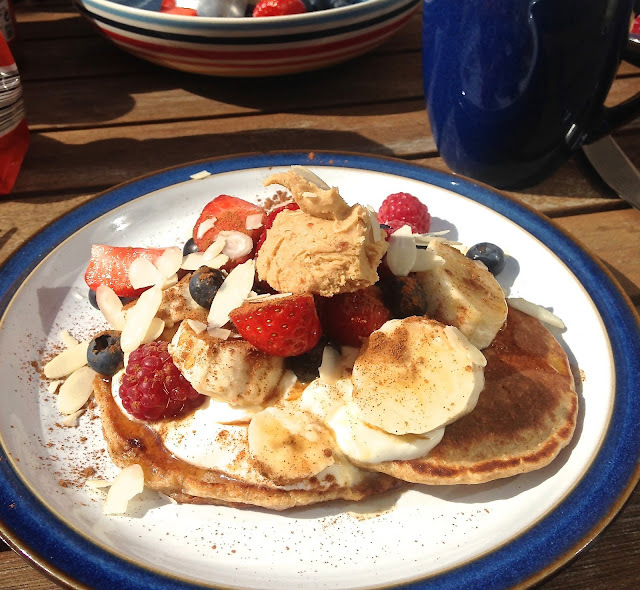 It's super quick, super easy, pretty nutritious and really yummy. Put all ingredients into a blender and whizz up until you have a batter. Berries - Strawbs, Rasps and Bluubs specifically. What's your ultimate weekend breakfast?